What’s Available for my Kids? 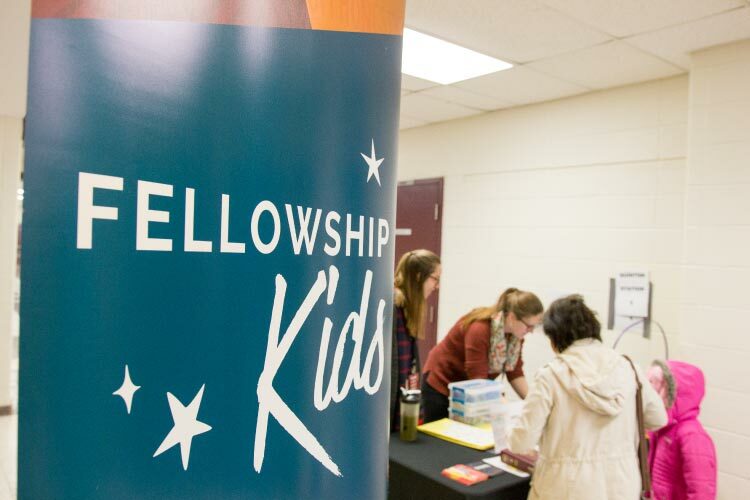 Fellowship Pickering provides age appropriate ministry to children. Our programming for children is much more than just colouring pages and silly songs. We screen every volunteer with criminal record checks as well as a process of training them to be well equipped to teach and train up the next generation to be men and women who follow Christ. We have a fully staffed nursery for babies 0-3 years old. Trained volunteers provide Biblical lessons to our youngest disciples in a caring and nurturing environment while you attend and participate in the worship service. We maintain a healthy adult-to-child ratio to ensure that children are safely and comfortably monitored and cared for. Our Kids Church is for children who are in kindergarten to grade 4. Your kids will really enjoy themselves as they engage in a short video Bible story and fun Biblical teaching, followed by crafts, games, and so much more as they learn how everything connects back to Jesus. Get in touch with our Children’s Ministry Director Kelly Wilson today. We are a diverse and multi-generational church in Pickering committed to helping people to connect to Jesus and one another. We gather at 11:00am at Pine Ridge S.S. (2155 Liverpool Rd. N, Pickering, ON).